Come join a morning crowd on Tuesday, April 30th at the Kedron-Wavell RSL for a meetup to discuss everything WordPress. Ask a WordPress question you've got, talk about the latest and greatest plugin you've recently found, or just share your knowledge with like-minded friends! ** RSVP's will open 1 week prior on Tuesday, April 30. But as always, please still attend even if you've not RSVP'd! ** Venue Access: Please note that as this meetup is hosted within a licensed club, you'll be required to sign in when entering the building. You can enter as a Guest/Visitor for free, just drop your QLD license into the reader or fill out the screen. If you have any trouble, just ask if one of the staff could get in touch with the WordPress meetup event organiser to help out. You'll find the meetup group within "HQ Cafe" around to the left of the escalators once you have signed in. WE WILL BE SITTING IN THE OUTSIDE AREA OF THE HQ CAFE. *** This meetup is free to attend, as all WordPress Brisbane meetup events will be, but you'll need to purchase your own coffee/other drinks/food at this specific meetup. *** This meetup will continue running monthly, on the last Tuesday of the month. Let the organisers know if you'd like to host a meetup in your part of town (or even just suggest a location). Topic: TBA Presented By: TBA Location: River City Labs, Fortitude Valley TBA. Details will be updated closer to the event, please note that RSVP's open 1 week prior or when details are announced. We'd like to thank our sponsors for their ongoing dedication to the meetup: Conetix, Plesk, WP Engine, and Creative Mode. ________ 6pm Doors Open, pre-event networking 6.30pm The Presentation, please quietly enter if we've all taken a seat! 7.30pm Pizza, Drinks, and more Networking. Getting here: River City Labs is located in the middle of Fortitude valley, walking distance from Buses and the Fortitude Valley train station. If you wish to drive, pre-booking Night Parking online for after 4pm is $10 (Drive up $16+) at some of the secure parking locations - https://www.secureparking.com.au/en-au/offers-and-events/fortitude-valley-parking The WordPress Brisbane group is run by a group of volunteers and relies upon the donations our sponsors make to the group for it to happen.If you'd be interested in helping us run the group in any form, sponsoring some of the costs of the meetup, or presenting on a topic you're passionate about, please get in touch - we'd love to hear from you!. The WordPress Brisbane meetup is scheduled for the 2nd Thursday of the month, every month. If you'd like to organise another WordPress-related event/meetup in Brisbane (and surrounds) for the group, get in touch so we can set it up! Can't make it along for Thursday nights? Check out the monthly Stones Corner Coffee meetup or the monthly Bloggers meetup instead! Come join a few of us on a Wednesday Morning for a casual morning coffee in Coorparoo. A few of us will be bringing laptops along to get some work done while talking amongst ourselves. Come along and ask any WordPress question you've got, or even to just talk about the latest and greatest plugin you've recently found and can't wait to tell someone about. *** This meetup is free to attend, as all WordPress Brisbane meetup events will be, but you'll need to purchase your own coffee/other drinks/food at this specific meetup. *** The Coffee meetup will continue running monthly, on the 3rd Wednesday of the month. Let the organisers know if you'd like to host a Coffee meetup in your part of town (or even just suggest a location). 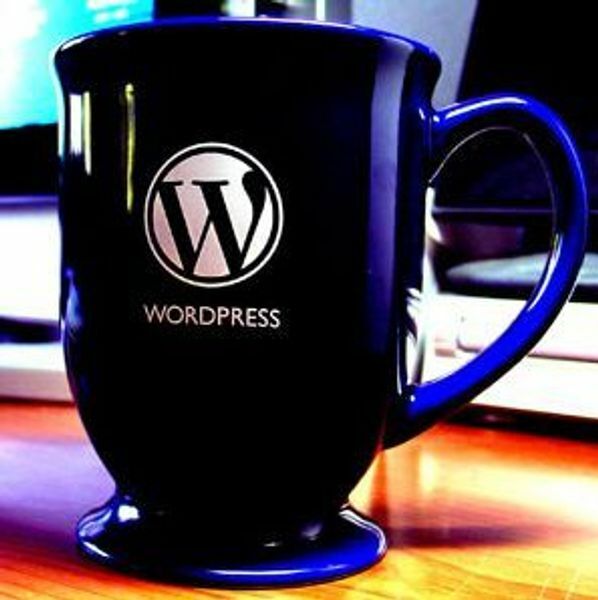 Come join a morning crowd on Tuesday May 28th at the Kedron-Wavell RSL for a meetup to discuss everything WordPress. Ask a WordPress question you've got, talk about the latest and greatest plugin you've recently found, or just share your knowledge with like-minded friends! ** RSVP's will open 1 week prior on Tuesday, May 21. But as always, please still attend even if you've not RSVP'd! ** Venue Access: Please note that as this meetup is hosted within a licensed club, you'll be required to sign in when entering the building. You can enter as a Guest/Visitor for free, just drop your QLD license into the reader or fill out the screen. If you have any trouble, just ask if one of the staff could get in touch with the WordPress meetup event organiser to help out. You'll find the meetup group within "HQ Cafe" around to the left of the escalators once you come in the front entrance. The Gallipoli Bar area we were in last month is undergoing some renovations. *** This meetup is free to attend, as all WordPress Brisbane meetup events will be, but you'll need to purchase your own coffee/other drinks/food at this specific meetup. *** This meetup will continue running monthly, on the last Tuesday of the month. Let the organisers know if you'd like to host a meetup in your part of town (or even just suggest a location). It's back! WordCamp Brisbane 2019 is happening August 24th & 25th!